Choice Of: Salmon Entree or Grilled Galbi "Hanger Steak"
I really loved Fusimi. 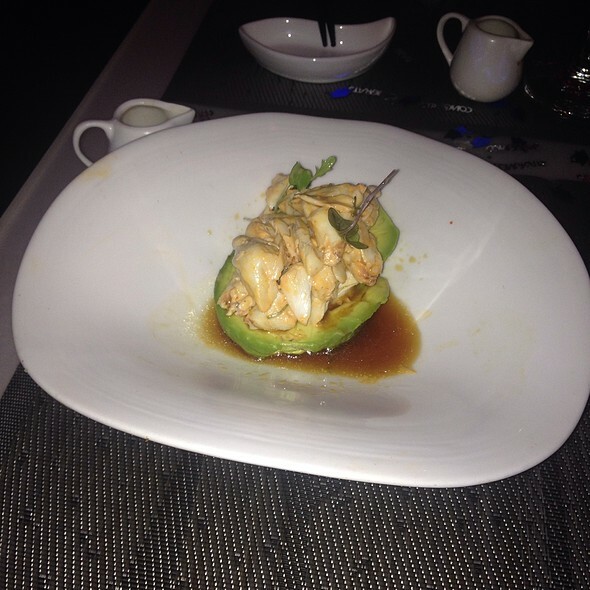 The food was great and service were excellent. Our waiter was so attentive. 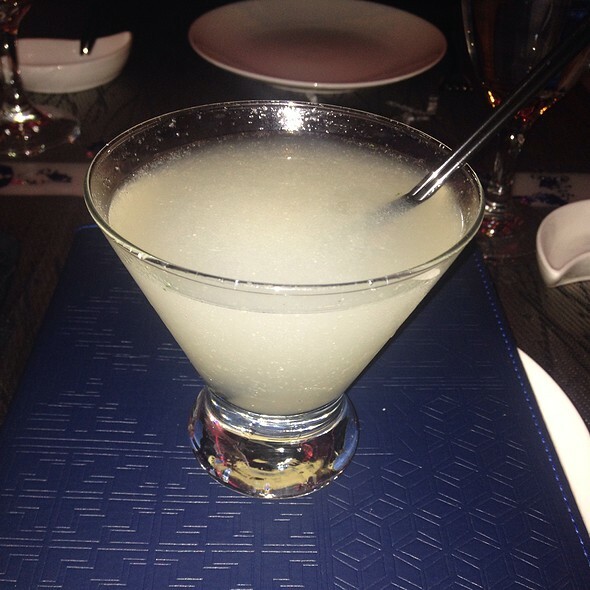 The lychee martini was perfect. I had salad with grilled chicken and then I had the steak for dinner. Everyone in my party enjoyed their dinner, it was delicious! The restaurant is beautiful. I would not hesitate to recommend this restaurant. Sushi are fresh but on the smaller size, the rice however was too cold for sushi it should have been at room temperature. Rolls were not memorable with too much mayo. Service was attentive and sweet by our waiter who went all the way to make our dining comfortable and memorable. So average, so mediocre, I was really surprised to see such an inflated rating. The soup, the drink, the entrée - first delayed, then all served at the same time. The waiter impatiently kept clearing the table of plates, one plate at a time. His hands constantly hovering over the still unfinished dishes. Was he so eager to go home early while we still ate? That was unpleasant. The ordered cocktail didn't seem to have been done according to the recipe. Too weak. If not for the price, it felt as if it was a no-alcohol drink. All in all - a dissapointment. I enjoyed the food. The drinks were awesome. 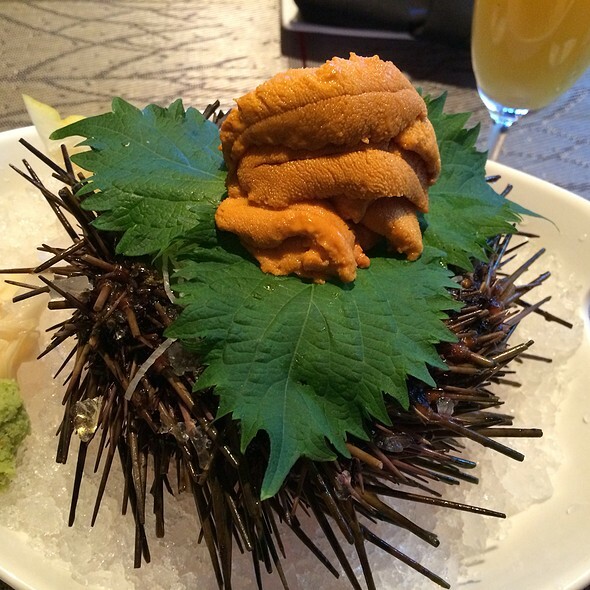 Excellent food, fresh and different from traditional Japanese food. Very good energy pretty clean food service was great enjoyed the whole event plus parking always a plus! Great food and service. The music is a bit too loud. Great experience with my mom and younger sister. Our waiter was really attentive, and the food was really good. The ambiance was also great - the decor looked excellent, and the lighting tied the whole look together. However, my only complaint is the value. We ordered 4 rolls, probably six orders of sushi, three soups, two drinks, and two desserts, and the bill ended up being just short of $200. Great place for a girls night out! We had a great dinner at Fushimi on a busy Saturday night. A big part of our dining experience was the hospitality and service offered by our bartender Ada. Some of us did not know a lot about Asian cuisine and Ada recommended a lot of terrific dishes and took the time to explain all the popular menu options. The food was fresh and well presented. We will be back ! Excellent!! Our waiter,vJames, was a real foodie 3xpert and so much fun!!! Even did a solo happy birthday for my daughter, Christine!! I asked for a quiet table in advance and we were seated at a booth in the front next to a window. That was perfect for us. We wanted to talk without being distracted by music or loud talking. The service was excellent. The booth where we sat was comfortable and the table was roomy. The food was excellent. The timing of the delivering the food was excellent. We went early -- at 6pm on a Saturday night. I was concerned that there would not be enough vegetarian options on the menu but that turned out not to be a problem. My guests were both vegetarians and they both found some vegetarian food to order. And they told me that they enjoyed dining at Fushimi. I highly recommend this restaurant. But I would avoid going to that party room in the back of the restaurant if you want quiet environment. When I went to the restaurant the first time, it was too noisy because we were seated in the party room in the back. The sushi was prepared well. Good presentation, fresh seafood. However the wait staff had little knowledge of the menu, couldn’t make recommendations, and although they were very polite lack of knowledge about the menu was disappointing. Overall a good dining experience although the prices approach Manhattan prices it is still a good place to try. 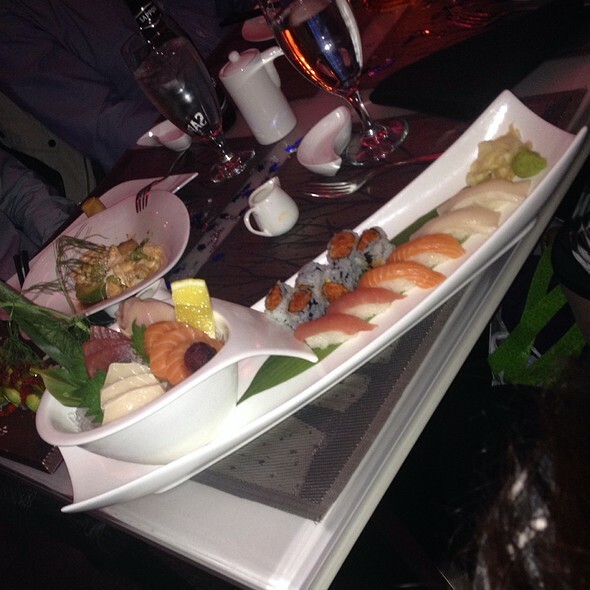 Fushimi never disappoints: freshest sushi, great variety of sushi and other entrees. 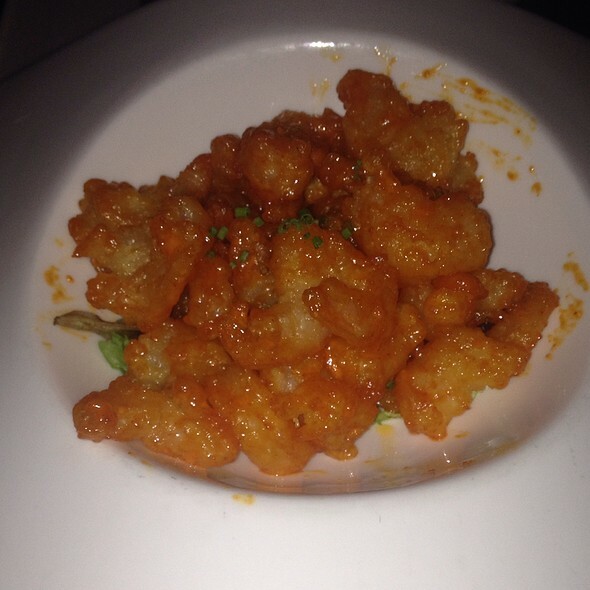 Standouts are : Rock Shrimp Tempura,, Lobster Bisque Soup, Filet Mignon and the Crab Cakes with Shrimp. For sushi: California Roll and the Paradise Rolls are delicious. Great ambience and cozy atmosphere. 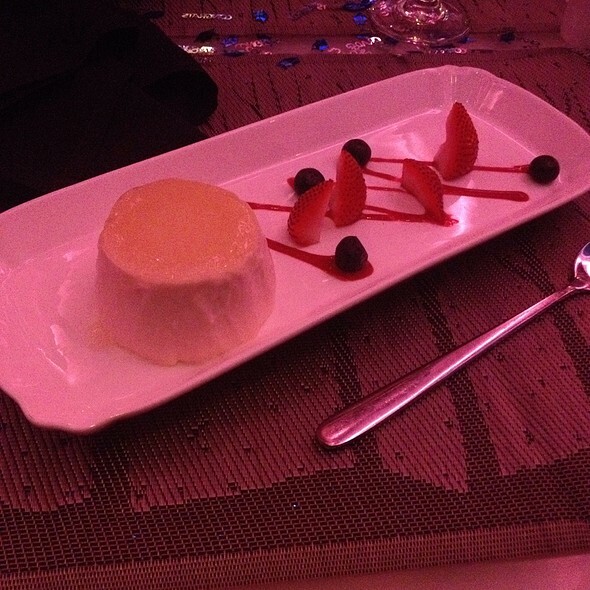 Everything was great, from food to service to the valet. Recommended to anyone. Good dinner over all. The food was flavorful and filling. The sushi is definitely very fresh. In sharp contrast to a very friendly and amazing bartender, it felt that the table serving staff lacked enthusiasm. I'll be back for the food alone, I hope service will be more personable next time. Usually go to Williamsburg, but think will be coming here from now on. Love the new decor even though told it’s a few months that it’s been done! They were so amazing ! I mentioned briefly when I called that we would be celebrating my boyfriend’s birthday. When we showed up, they had birthday balloons on the table and made sure they sat us in one of their nice booths. love this place, definitely one of my favorite restaurants and I would recommend! Small portions, cold food, and not a friendly waitress. Saturday night dinner at Fushimi. Usually I go to Tao or Buddakan for Asian fusion cuisine but my friends insisted we stay local and we did. I really want to like this restaurant as the food quality is there compared to the local Asian eatery competition, but every time I visit the service gets worse and worse. The positives first: the clown of a manager/maitre d' at the door, who starred in his own bad humor comedy show last time I visited, was either off or got fired - congratulations Fushimi for doing the obvious, that man's snobby attitude was costing you business. Kudos. Now on to the not so great. Our waitress was either inexperienced, lacked English language proficiency, or quite possibly lacked both. Multiple errors on the order taking and food delivery timing. Oftentimes another waiter stepped in and we had to repeat the order twice for food and drinks. Management was absent and never checked on us. My recommendation is that if you don't mind subpar service from incompetent waiting staff that barely speaks any English on a good day, the food is ok. 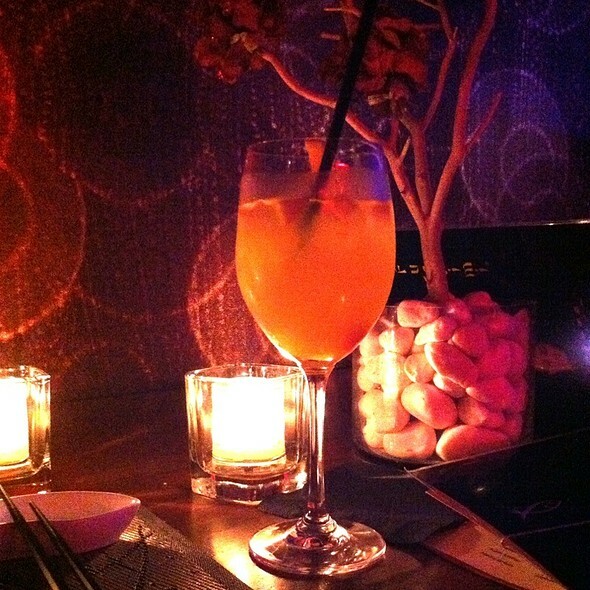 Otherwise do yourself a favor and drive to the city for a truly hospitable Asian dining experience. 3 stars, to be generous! This is so NOT authentic Japanese. I would say it’s more Americanized Chinese presented in a sushi form. The waiters were nice, the service overall good. The seating is weird, no privacy, and I had to listen to this guy who couldn’t shut up. The food is delicious. The tuna sashimi pizza is great, as are the other special rolls. Highly recommend for food. Service was a bit off - though usually very good. This place has a lot to learn about the meaning of hospitality. Cold reception. Walked in, the hostess was too busy texting on her smartphone to notice us and acknowledged our presence only after being prompted to do so - she seemed to be annoyed that we interrupted her phone texting marathon. The host/maitre d' standing next to her either has the worst sense of humor in the world or he tries too hard to come off as a smartass. Neither of them made an effort to at least pretend to be friendly. The table service probably read the same service handbook as the reception desk. The waiter lacked any sort of personality and his disposition ranged from perfunctory to indifferent. No introduction, no recommendations or suggestions. He didn't follow up to check on the dinner progress and we had to flag somebody twice to provide us with and change our silverware. At the end the bill came and the recommended gratuity list reached up to 30%. Was that meant to be a joke? One and done experience. This is your local generic run-of-the-mill Asian take-out food joint with more pomp and glitter thrown in as a dressing on top. Food and service were superb! great service, great menu love the unique sushi options and great menu for non sushi lovers. Organic country chicken is a favorite! I expected the restaurant to be prepared for the valentine’s day volume. They didn’t seem to be at all, the wait to be even approached by the waitress was about 15 mins. Unacceptable.